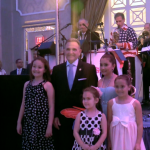 At a yearly event that routinely tops over a 1,000 guests, North Bergen Mayor/state Senator Nick Sacco (D-32) saw many of the top Democrats in the state attend his annual mayor’s ball at The Venetian catering hall. “Nick Sacco does it like nobody else, North Bergen is in the house, everybody that’s new to this event sees that this is an amazing event. 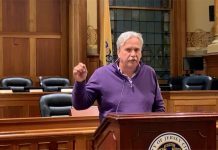 It keeps getting bigger every year and it’s a testament to his leadership and I’m proud to serve with him in the 32nd legislative district,” said Assembly Speaker Vincent Prieto (D-32). 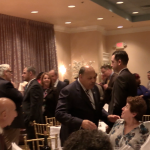 Prieto was the first of five speakers of the evening who all kept their remarks brief, as everyone was anxious to take advantage of the gourmet buffet and open bar – as well as hit the dance floor in a room with a fittingly reddish hue (one of the North Bergen Bruins colors). “Thank you Senator, for your support, leadership like his is … incredible. 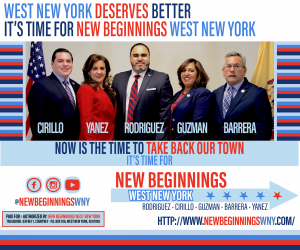 Nobody in the state of New Jersey has the organization that he has behind him,” Assemblywoman Angelica Jimenez (D-32) boldly stated. 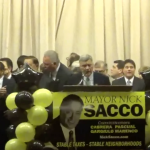 “Ladies and gentleman to Nick Sacco, nobody does it like Senator Nick Sacco!,” exclaimed New Jersey/Passaic County Democratic Party Chairman John Currie. 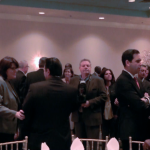 While Hudson County’s political mainstays of course made the drive to the lavish Garfield venue, big wigs from Bergen, Passaic, Essex, Union and even Hunterdon Counties were in attendance. 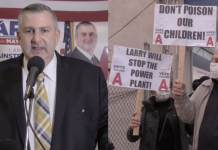 A few of the officials from outside of Hudson included Hunterdon County Democratic Committee Chairwoman Arlene Quinones Perez, Assemblyman Jamel Holley (D-20), state Senator Paul Sarlo (D-36), state Senator Richard Codey (D-27) and Bergen County Democratic Chairman Lou Stellato. “I just want to say this: [in] Passaic County, my brother John Currie, they got the toughest women there. 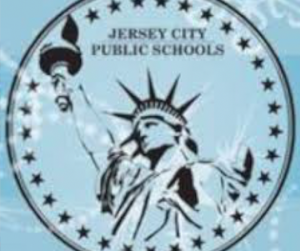 Bergen County, we got the smartest women, but I gotta tell you the truth: tonight, after looking at this, Hudson County’s got the prettiest women,” Stellato observed from the podium. Indeed, the overwhelming majority of the women in attendance did not take the event lightly, with hair, makeup, dresses and heels fit for the wedding of an immediate family member. 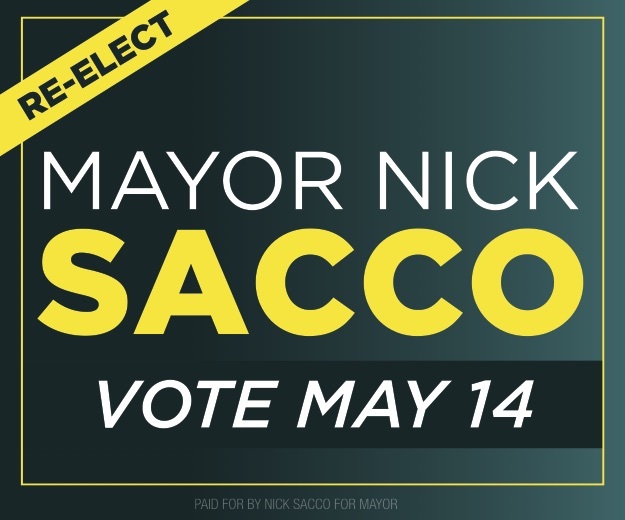 When Sacco, who even got his infant grandson Nathan to attend the event, addressed the hall full of supporters, he expressed his thanks. 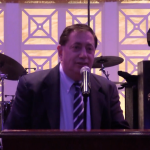 “I’d like to take one moment to thank, not only the dignitaries, but every one of you who took the time out to join us as part of the greatest organization the state of New Jersey has ever seen. 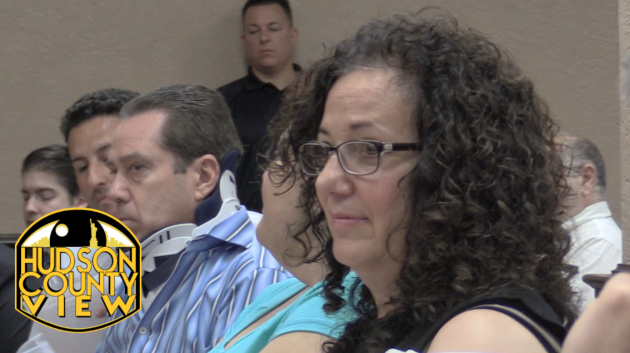 Thank you, to each and every one of you,” Sacco said, also giving a special thanks to his main squeeze, Kathy. 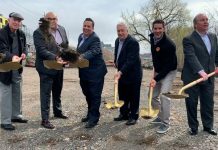 Although they weren’t inside the venue at the same time, Jersey City Mayor Steven Fulop and former U.S. ambassador to Germany Phil Murphy, likely 2017 gubernatorial opponents, made it a point to make the rounds at the swanky Garfield political playground. 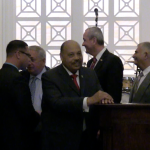 North Bergen Commissioners Frank Gargiulo, Alan Pascual, Julio Marenco and Hugo Cabrera, Weehawken Mayor Richard Turner, West New York Mayor Felix Roque, Bayonne Mayor Jimmy Davis, West New York Commissioners Cosmo Cirillo and Susan Colacurcio, Hudson County Sheriff Frank Schillari, Assemblyman Raj Mukherji (D-33), Jersey City Democratic Committee Chairman Shawn “Sully” Thomas, West New York Freeholder Caridad Rodriguez (D-7), North Bergen Freeholder Anthony Vainieri (D-8), Hoboken Freeholder Anthony Romano (D-5), Jersey City Freeholder Gerard Balmir (D-2), Bayonne Freeholder Kenny Kopacz (D-1) and Freeholder Chairman E. Junior Maldonado and Craig Guy – Hudson County Executive Tom DeGise’s Deputy Chief of Staff.